If you have Apples New iPad Mini with Retina Display, or even the original iPad Mini you will be wanting to protect it in some way or another. For me, this iPad has to be my lightweight portable computer for the next three or four years, and henceforth must be protected. 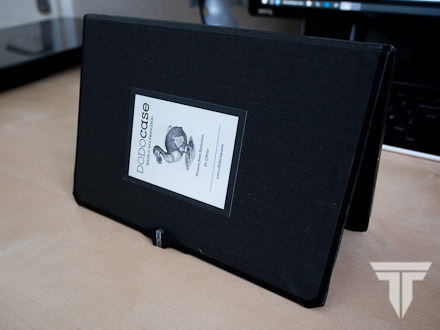 Today we take a look at the Dodo Hardcover classic, which was very kindly sent into review by Gearzap. I have put this case through its paces. I use my iPad on an hourly basis, in and out of the house. I have used it in church youth leading, reading, typing and watching films. For the past two weeks this case has been with me every step of the way, lets see how it performed. Initially when I received this case I was very surprised by the packaging, which there was very little of. All of it was recyclable yet had a very high quality feel to it. 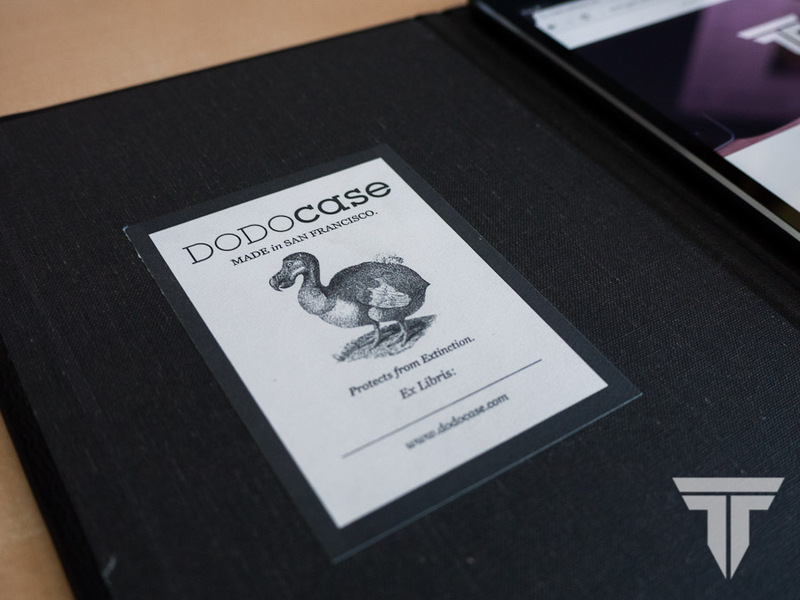 The packing also acted as instructions and as a way to discuss Dodo’s views on design. 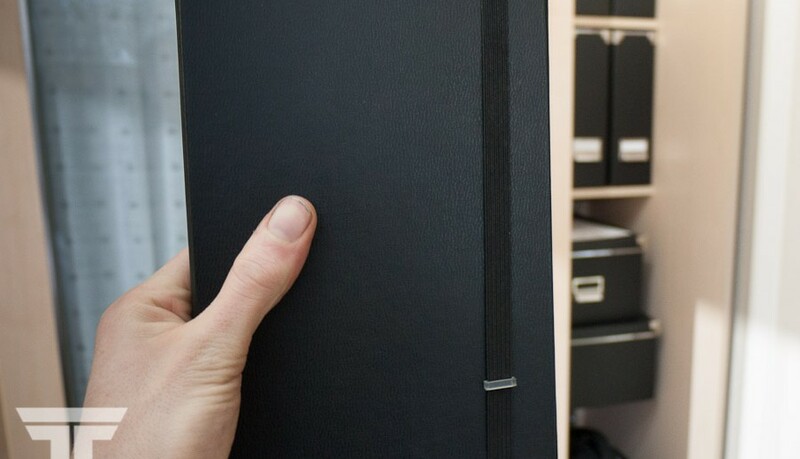 At a glance you can see a very clear theme in regards to the design of this case, and thats clean. There are no logos or any details on the front at all, just plain black, which I really liked. Turning around to the back you will see some Dodo branding towards the bottom. You can not see it very well, however it is distinguishable if you wanted to know the brand of your case. 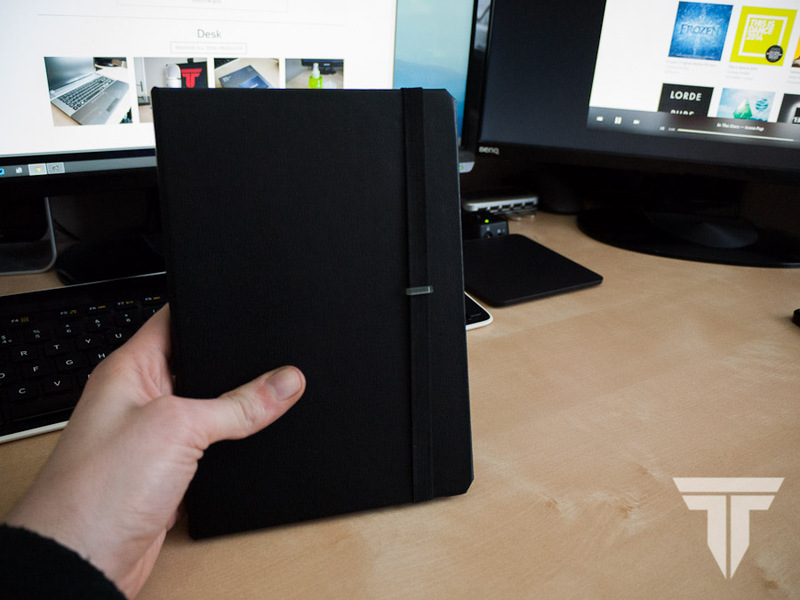 The case is a hardcover case, which definitely was a huge benefit for me, as I take my iPad with me most places I go. Protection is important for such a high-valued item. The cases exterior and interior is mainly plastic, but a kind of slippery plastic. 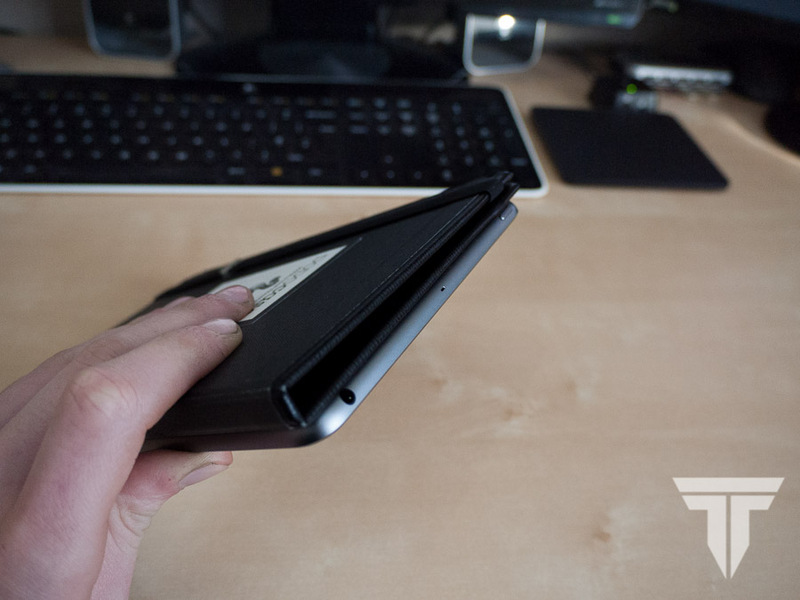 One thing I really liked about the Smart Case was the rubbery feel it had, this Dodocase does not have as much grip. 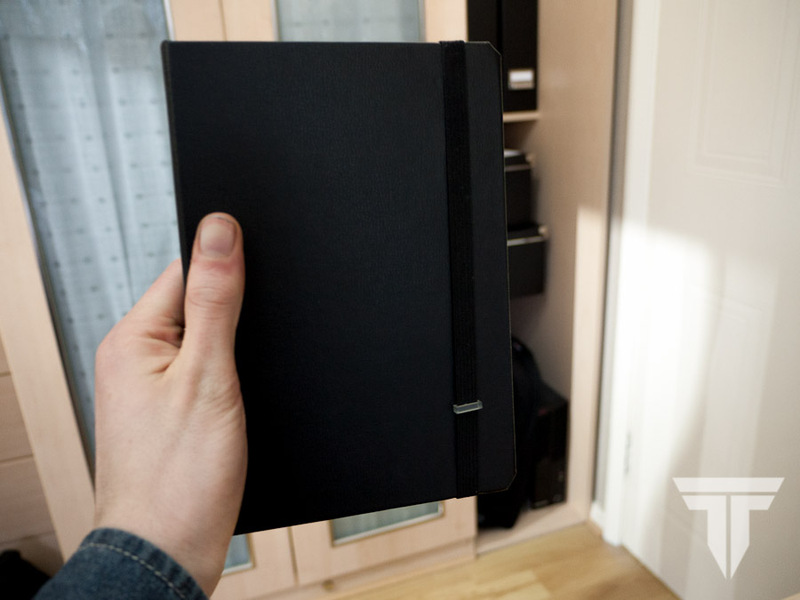 To be honest it really isn’t noticeable, but going from the Smart Case to the Dodocase made it very clear. 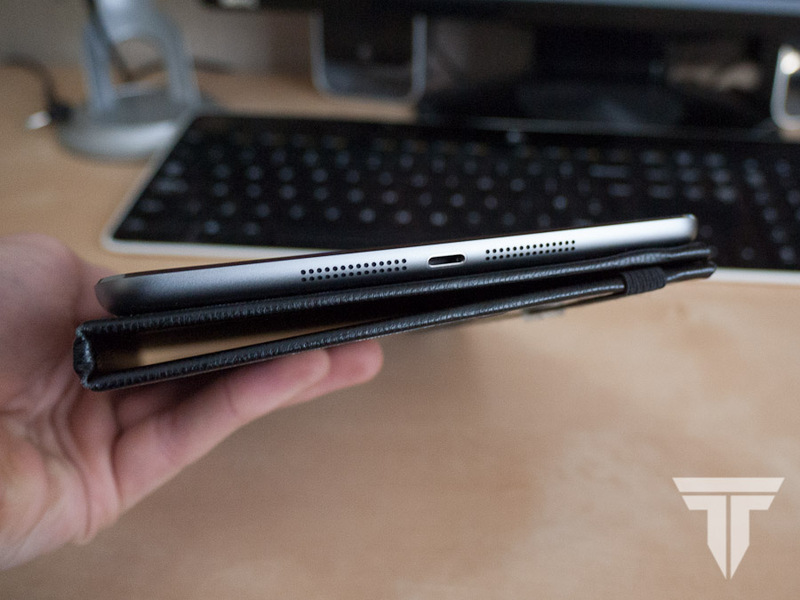 What was particularly odd about this case was how the iPad attaches to the case. 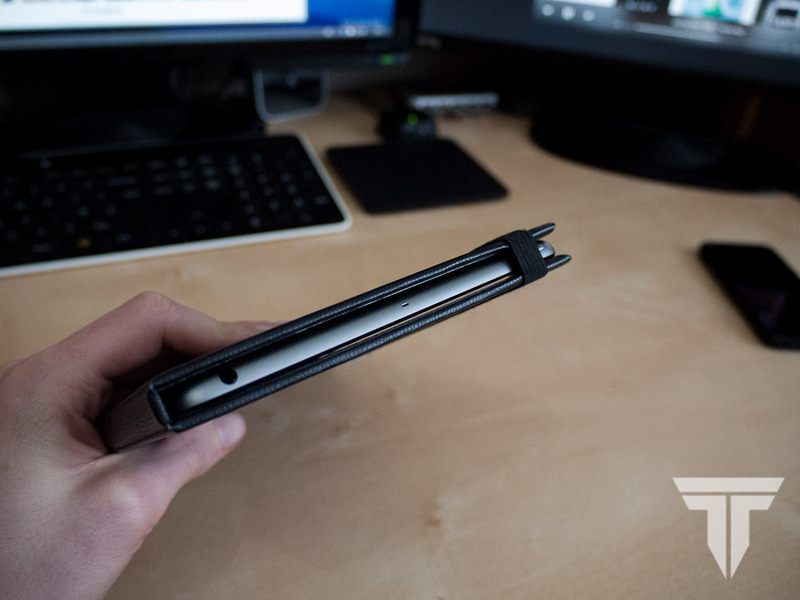 Most cases use some some kind of slot, clip or elastic, but this case doesn’t use any of that, instead it goes with adhesive. Yes, adhesive. There are two strips on the inside of the case that you peel away to reveal a sticky surface. You then line your iPad up and you’re good to go. The iPad is secure once it is pressed down a bit. I have demonstrated this in the above video review. Using this at first put me off a bit, however the iPad can be removed with a bit of force, and is reusable. Simply apply some water onto the pads to give them a bit more sticky, and they are ready to be used again. 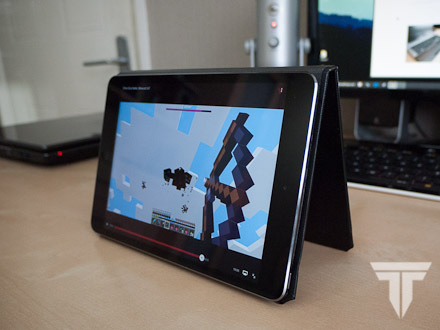 I like the way my iPad seemed to float, and not be attached to the case, but it does mean that your iPad can not be taken in and out of the case very often. I did like the way though that it didn’t interfere with the controls at all, an issue many cases seem to have. A case would be nothing without its functions, otherwise it wouldn’t stand out. 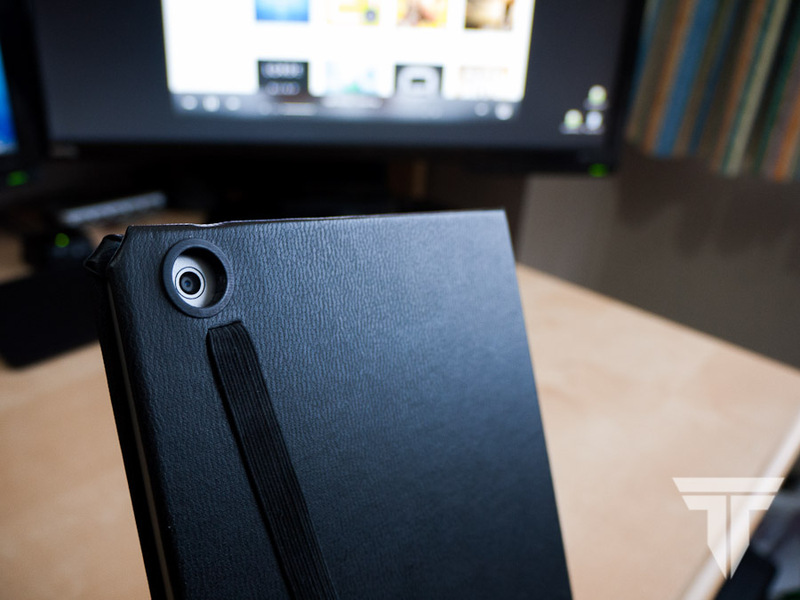 This case comes packed with the smart functionality, meaning that opening the case will turn the iPad on, while closing the case will turn the iPad off. This is great for power saving, and saves you using the power button. 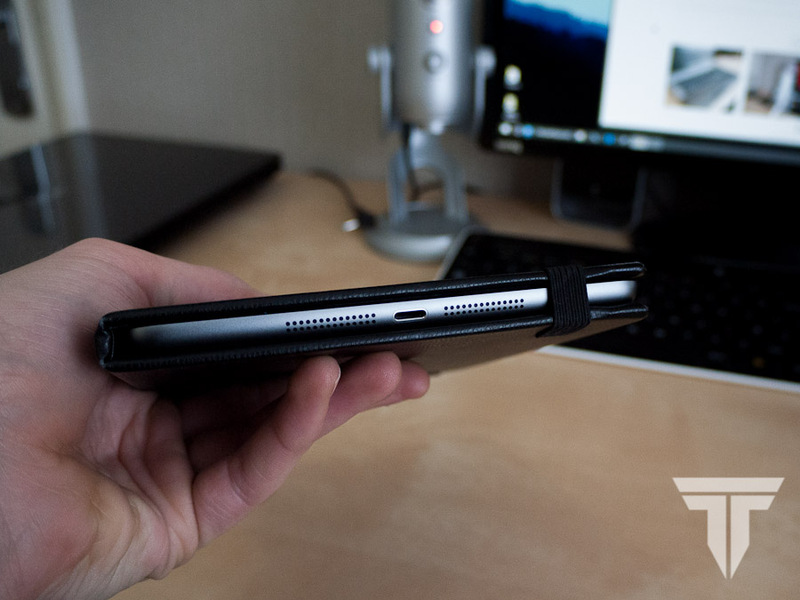 The elastic strip also keeps the case cover from flying around. Either it stays open, or stays close. Something that is not found in the smart case. This case also comes with a media view, which I have demonstrated clearly in the above video. You place the plastic tag on the elastic strip behind the case cover, and there you have your media view. 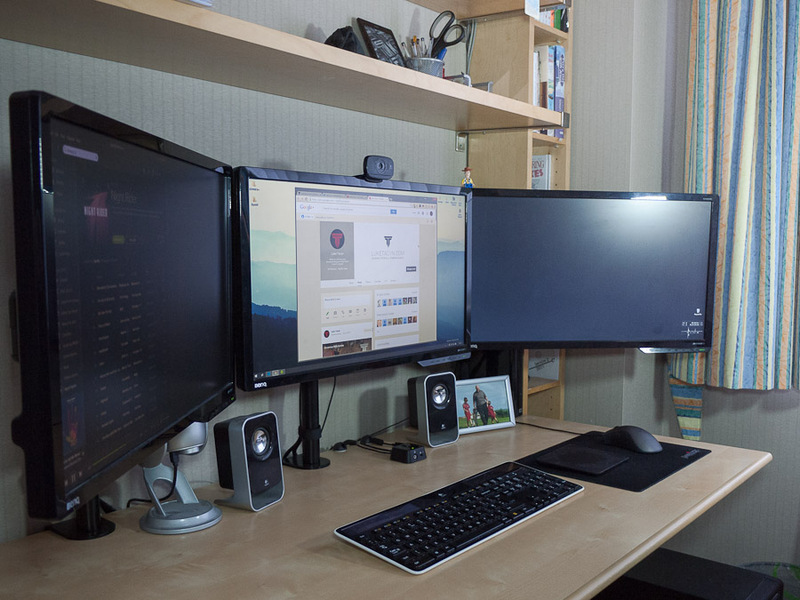 The angle is good for using on a desk or table, but unfortunately the volume and rotation controls are hidden between the cover and the table, making them inaccessible. That was a big problem for me. I also found that the lack of a typing view was a bit annoying. After having used this case for a fair while I am pleased with how it performs. 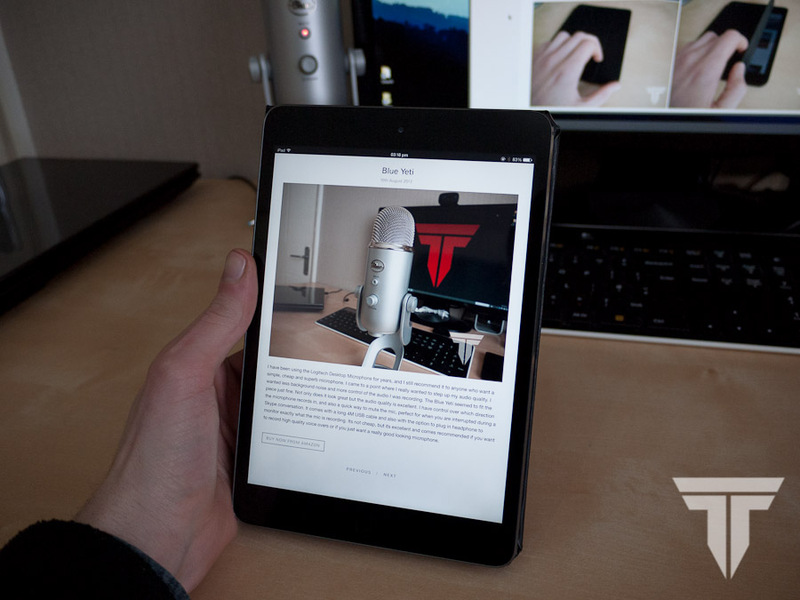 It’s lightweight, very portable and looks high quality. I appreciate the elastic that keeps the case open, something not found in the smart case. However there are a small number of drawbacks. I am the kind of person who takes my iPad out of the case every now and then, and this case is simply not made for that. The lack of a typing view left me having to place items under the iPad to give me a good typing angle. 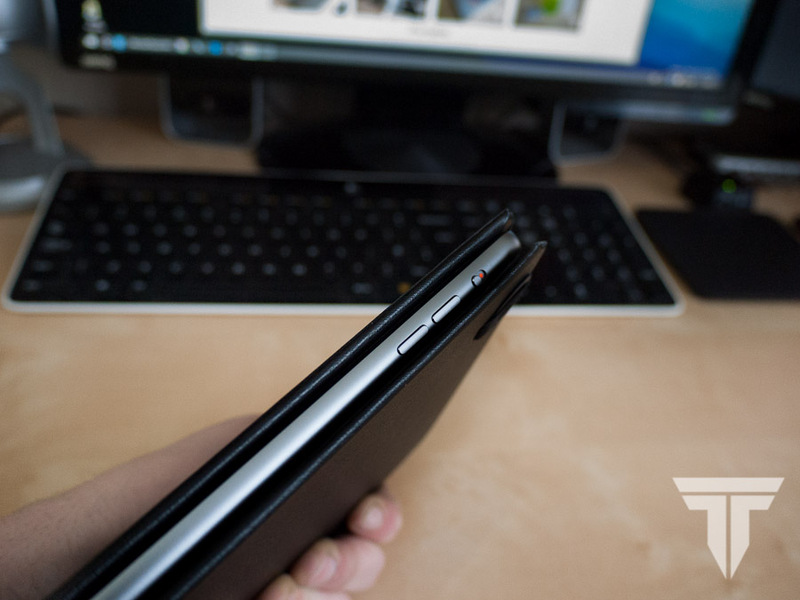 Something I did notice however was the lack of a microphone port on the back of the case, despite the iPad Mini with Retina display coming with a microphone on the back. 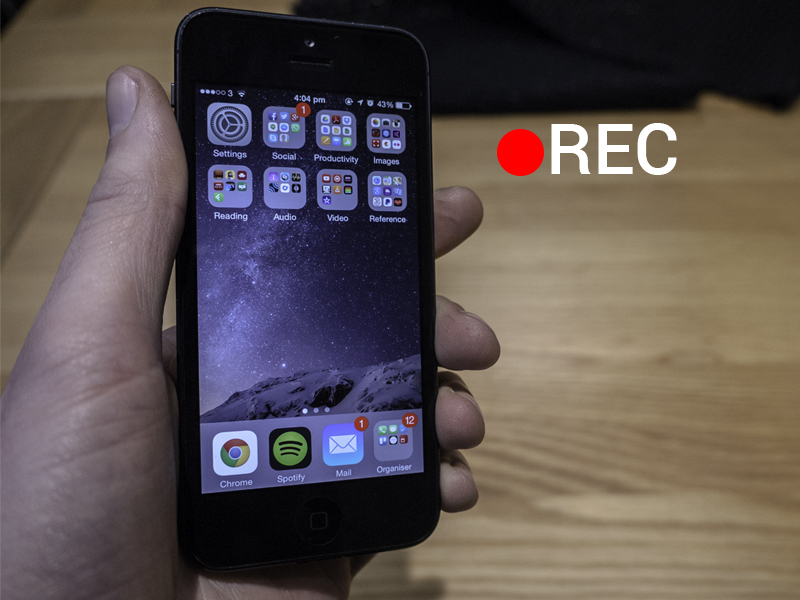 I don’t shoot video on my iPad, but if you do this would reduce your audio quality overall. 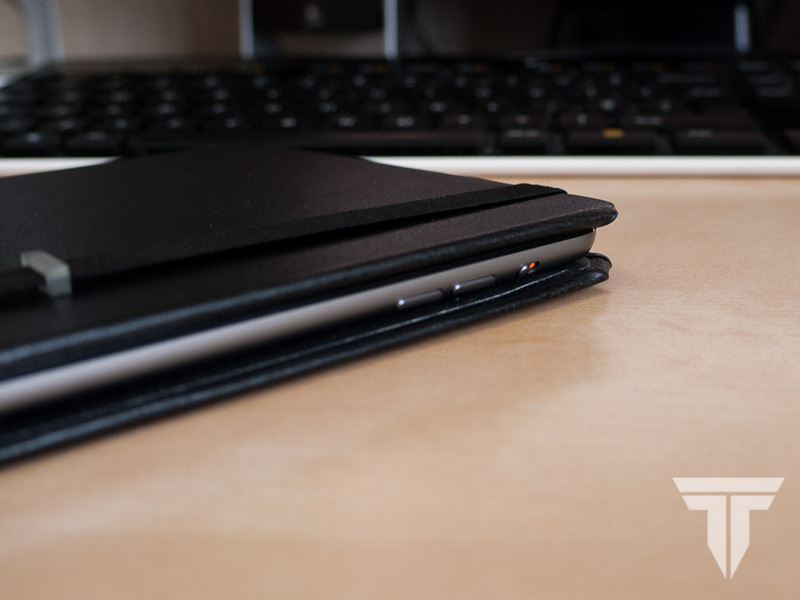 If you want a case that does not increase bulk, is unique, and you want to keep your iPad in it at all times this case is a very viable option for you. I can see myself switching between this case and the smart case every few weeks. If you want one you can head over here and pick one up. Gearzap also have another range of cases available, which you can find here.